Disclaimer: This is an opinion based on our family’s experience. Always take the time to form your own actions. This is the first post in a two parter about finding a vet for your family. My goal is to let you know that there is a worthwhile process that may yield great results. 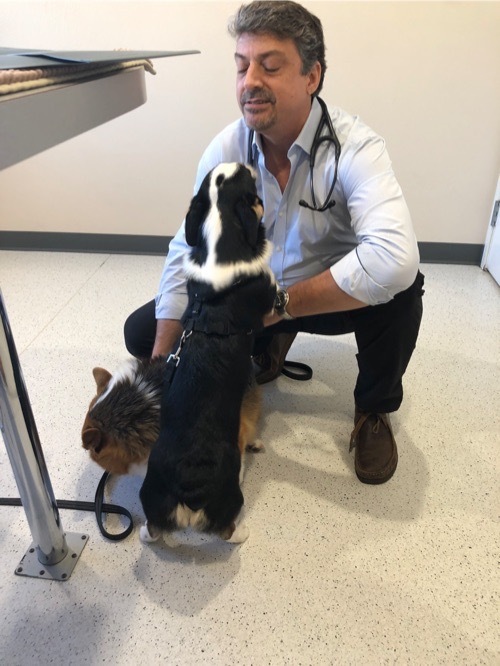 With patience, time and effort, you will navigate through many decisions with confidence, building a strong relationship with your pet’s healthcare provider! Selecting medical care for your pet is intimidating and often done on a whim, typically at your furbaby’s homecoming. Unlike hooman doctors, animal veterinarians are not as abundant in choice or access. Therefore, when selecting treatment and care, it becomes highly critical to take your time in selecting a doctor and practice. Some of us get lucky when the first vet we choose is good and attends to our needs. However, this luck is often dependent upon the health of your pet. Does that make sense? If your pet is strong and resilient, you may have very few lifetime visits. However, if your pet seems to have something going on all the time, you may visit several times a year. Let’s just assume that vet visits will be more often than not. To reiterate, this article is not for everyone, nor is it to set off any panic buttons to judge your current vet! It is for those who want to explore more options and have some criteria to use when making an evaluation. For those of you who already have a vet, this is opportunity to strengthen your relationship and become a true partner. Remember, your pet can’t speak, so it’s in your best interest to know as much as possible and build trust with vets and healthcare providers. First off, I have been a pet owner for over 18 years. Between myself and my husband, we have racked in over $50k in vet bills. Yeah, that’s a lot of DOUGH-RE-MI! We’ve had pretty healthy pets for the most part, with the exception of Hambone’s herniated discs. Our combined experience with health care is at ninja level, at this point. Look up your references on Yelp! I can hear the howling! You would be surprised by how many people do not do any of these things. They pick one based upon their commute to work! And if you are about to become a pawrent, do not wait to the day you pick up your pup! Taking your puppy into a vet is very basic. You will likely see a vet for about five or ten minutes. A technician will take your baby into the back for any shots and further exams. Sometimes, the vet will give your pup the shots, but this visit is the most basic and practical of the journey. Cleanliness of office and exam room: It absolutely needs to be spotless! Front desk staff demeanor: Are they nice and positive? Is it busy, but they are polite to patients in the waiting room? Do they appear stressed and disorganized, or calm and professional? How crowded is the waiting room and how long are people waiting? If it’s busy, are the patients sent to exam rooms in a reasonable time frame? Once in the exam room, do you feel like the vet made an attempt to get to know you? What was the style of the vet? Warm and friendly, a real dog lover? Or, thorough and medical, a real science person? There are many styles, but which is suited for you? I like a combination of both, but know that is hard to find. Do they request copies of any breeder documents? Shot records, genetic tests, etc.? The bill…prior to your first visit, you should call and get estimates of the first exam before receiving the bill for the first time. Getting through the first visit is a mix of joy, because of the new furbaby, and anxiety, because you have no idea what these people are telling you. Is it the best way to judge the quality of your vet? It can, but not really. A bad visit will definitely curb chances for a second visit. Read How to find a good vet, part 1!